Higher interest rates might actually add fuel to, rather than cool, the housing market, some analysts contend. (Bloomberg) — Some economists are suggesting that the best thing the Federal Reserve could do for the U.S. economy would be to raise interest rates for the first time in nearly a decade, mounting an argument that flies in the face of conventional economic wisdom. Tightening, in light of the current circumstances, would actually be stimulative, on net, they argue. “The reason [the Fed] should have raised rates in September and the reason, failing that, that it should do so this month isn’t that the economy can handle the pain but rather that it could do with the help,” David Kelly, chief global strategist at JPMorgan Asset Management, wrote in a recent research note. The consensus view, steeped in decades of economic thought, maintains that higher rates encourage saving instead of spending by households and raises the cost of capital for businesses, weakening current demand. 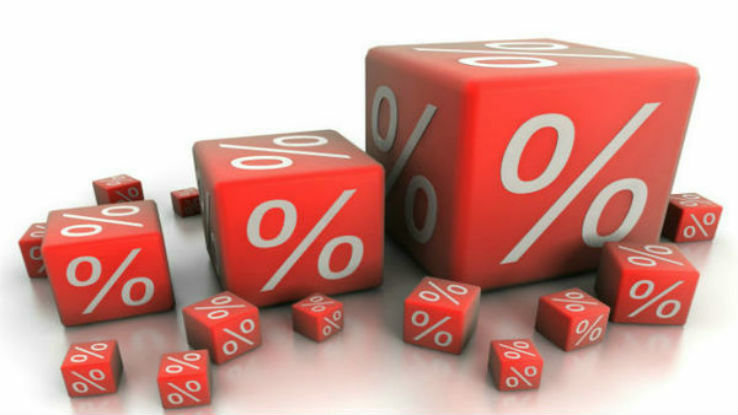 Higher interest rates could also be a negative for asset values, as income generated would be subject to a higher discount rate. The ensuing negative wealth effect would be a drag on consumption. An increase in interest rates is also typically accompanied by a rise in the U.S. dollar, which crimps competitiveness and weighs on production in the tradable goods sectors. But in practice, the effects of liftoff might well be different this time, some analysts contend. For households and corporations, non-price factors like credit ratings or a lender’s regulatory requirements are the far bigger constraints on activity than the cost of carrying debt, and a pickup in interest rates would help alleviate some of these impediments. Kelly notes that aspiring homeowners have to meet three criteria to qualify for a mortgage: sufficient savings for a down payment, an acceptable credit score, and proof that they can make their monthly payments. That final component is the most susceptible to rise along with interest rates, but is also “by far the easiest of those hurdles to surmount,” he wrote. In fact, higher interest rates might actually add fuel to, rather than cool, the housing market. Joe LaVorgna, chief U.S. economist at Deutsche Bank, observes that higher interest rates would be positive for banks’ net interest margins, thereby inducing them to loosen the lending spigots. For households, this sequence of ultralow rates for an extended period followed by a modest bump higher enables them to have their cake and eat it, too. Mortgages and auto debt taken out in recent years have been primarily longer-term obligations with fixed rates, while most interest-bearing assets are short-term instruments that will provide a greater boost to household income once rates rise, according to Kelly. So on the liability side, there’s less scope for rising rates to eat into disposable income, and more upside on the asset side of the ledger. A colleague of LaVorgna’s, Deutsche Bank Chief Global Strategist Bankim Chadha, recently put forward the view that lower rates prompt households to save more, and therefore consumer spending is not an effective avenue for stimulus through traditional monetary policy actions. So higher rates, to a certain point, could prove a boon for consumers. And the same is true for stocks, argues JPMorgan’s Kelly. His analysis shows that rising rates from a low level tend to be accompanied by rising stock prices, while hikes from higher levels typically happen in tandem with declines. “When the Federal Reserve raises rates from low levels it is generally taken as a sign of economic confidence — that the economy no longer needs the Fed’s help — and that rising confidence is generally positive for stocks,” the economist wrote. A rate hike that signaled increased confidence in the U.S.’s economic prospects could also shatter the conservative mentality that’s pervaded corporate America, providing the impetus for expectations and priorities to be reorganized. The surge in corporate bond issuance, he notes, has been used primarily for share buybacks, mergers, and to drive bottom-line growth by reducing interest expenses. A hike could be just what’s needed to change businesses’ expectations, according to the economist. A more pro-growth stance by businesses would likely entail capital deepening (an increase in capital equipment relative to the workers who operate it), Oubina added, which would further support top-line, productivity and economic growth. And if the Fed wants to see a so-called Great Rotation from bonds into equities, which would presumably be a plus for stocks and spur a positive wealth effect, LaVorgna thinks the initiation of a hiking cycle is a prerequisite. There is, however, a large caveat that accompanies this argument that a rate hike would equal an increase in accommodation: the extent to which liftoff by the Federal Reserve might have negative effects outside the U.S. These effects could ricochet back to the world’s largest economy, potentially mitigating any of the stimulative effects cited by the trio. Although none of these economists identified an inflection point at which rate hikes would serve as a net headwind on growth, all agreed that the first hike surely wouldn’t be that moment.